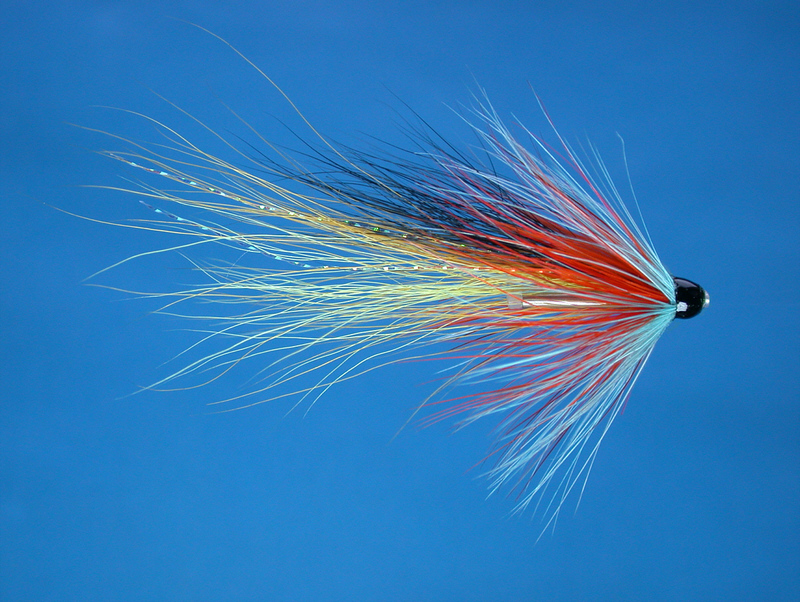 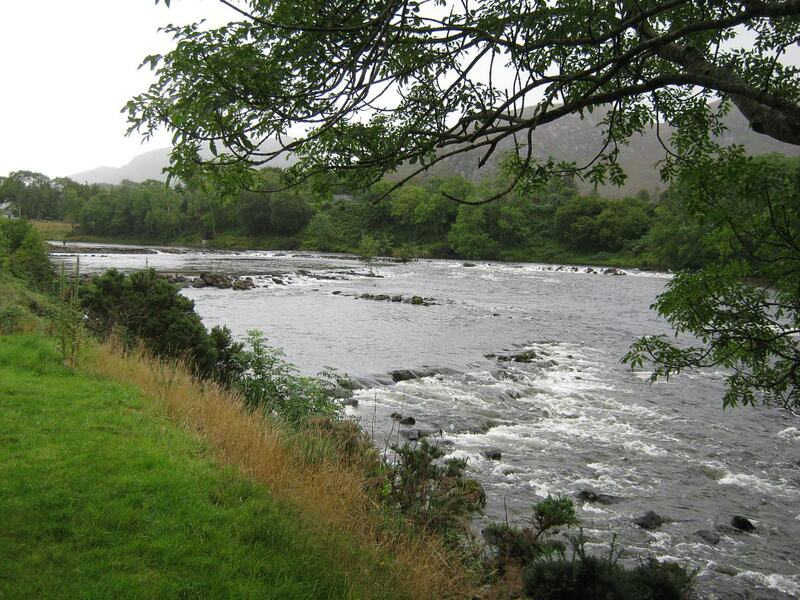 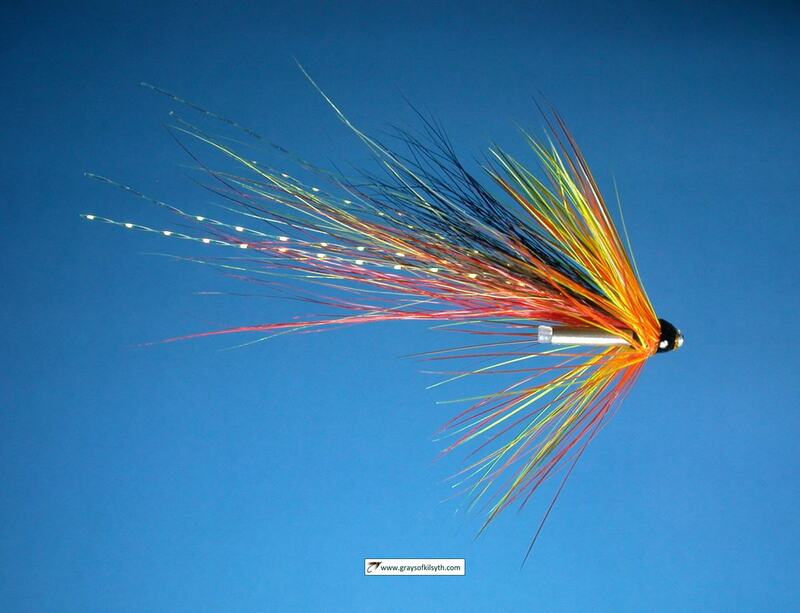 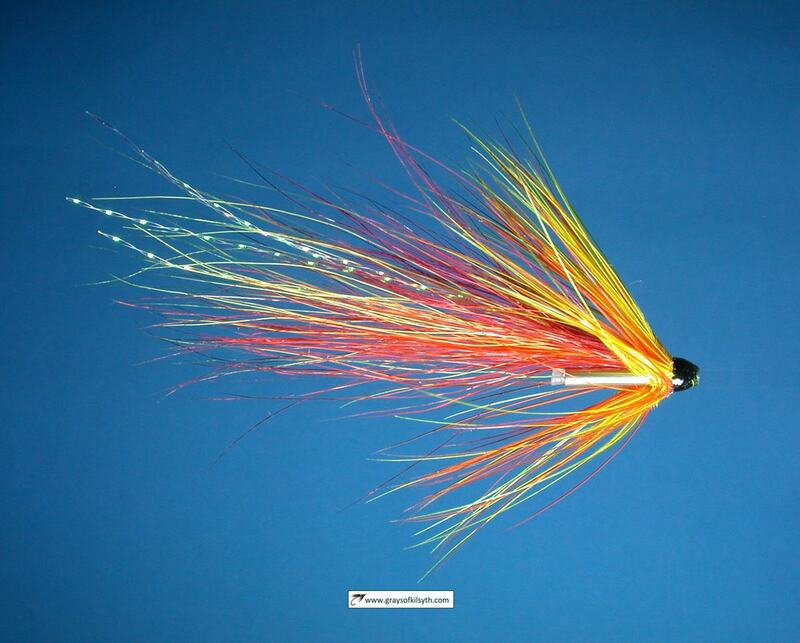 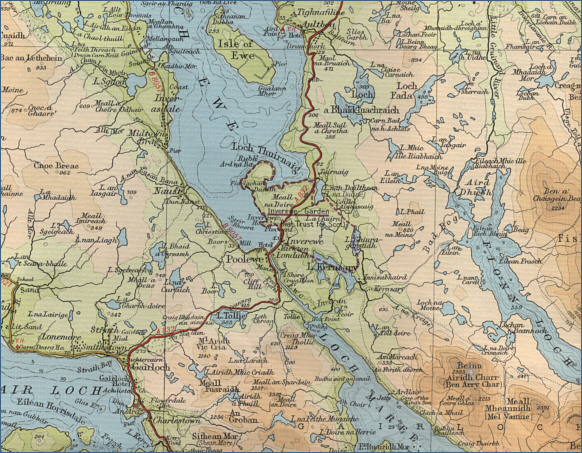 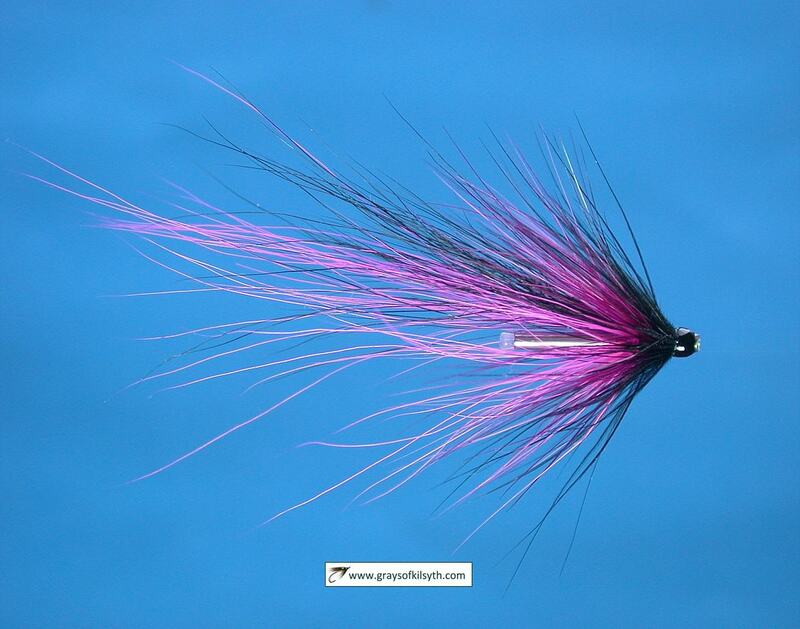 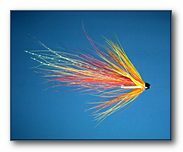 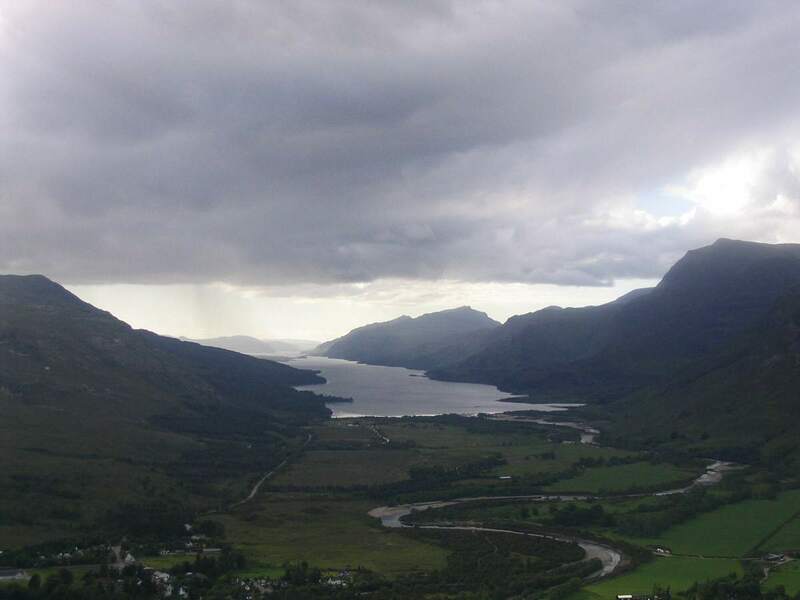 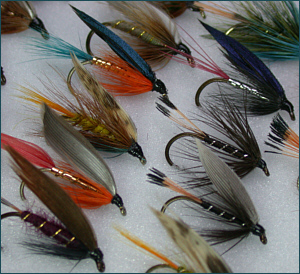 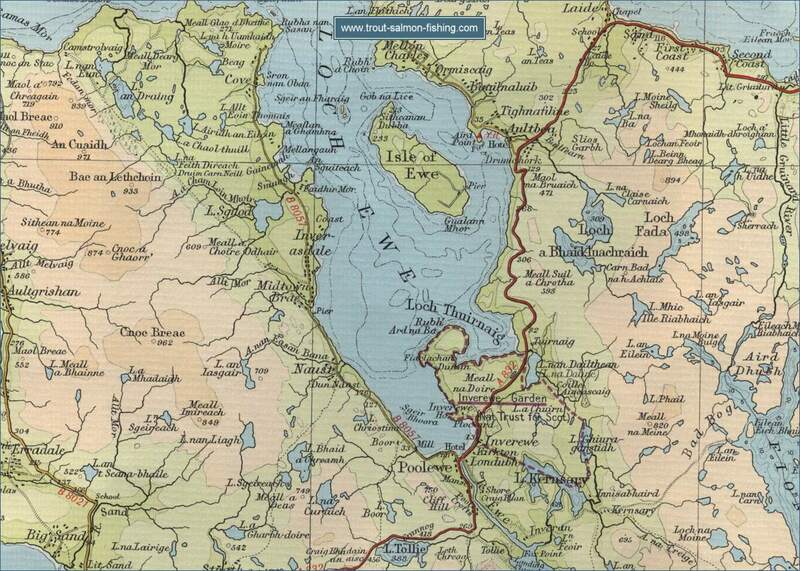 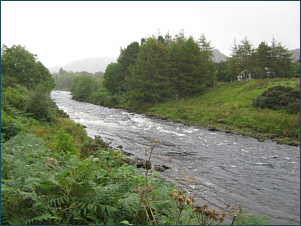 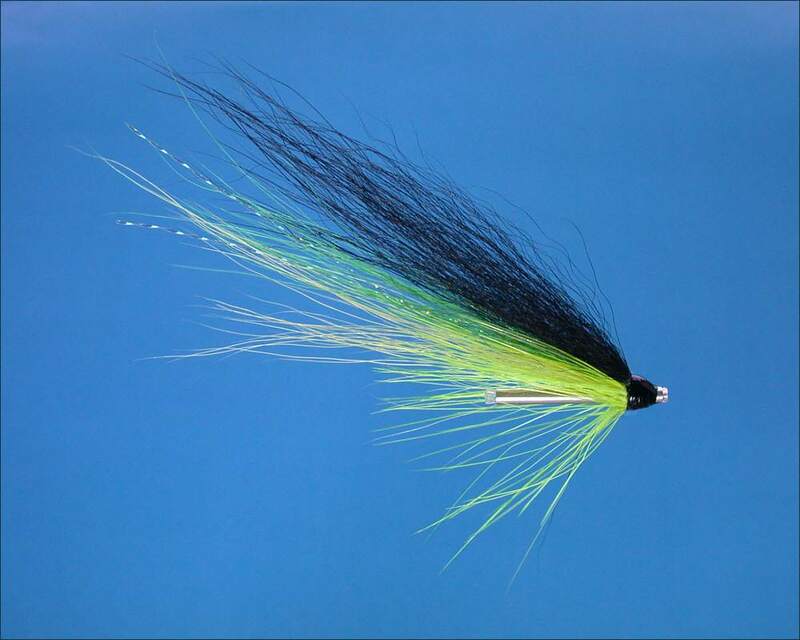 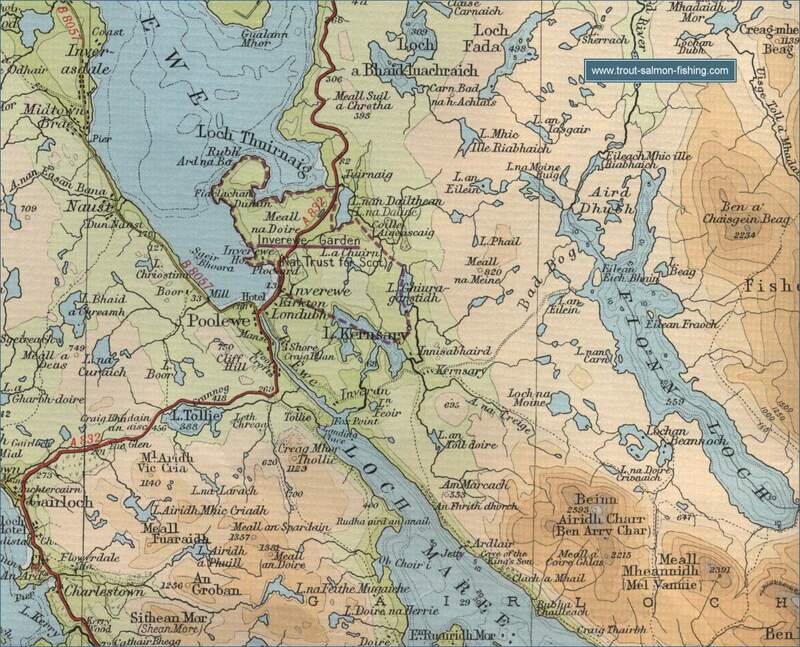 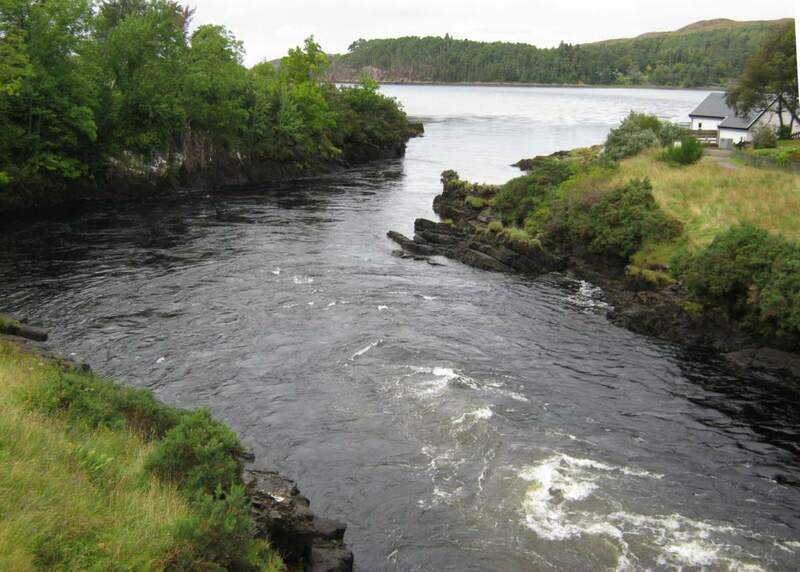 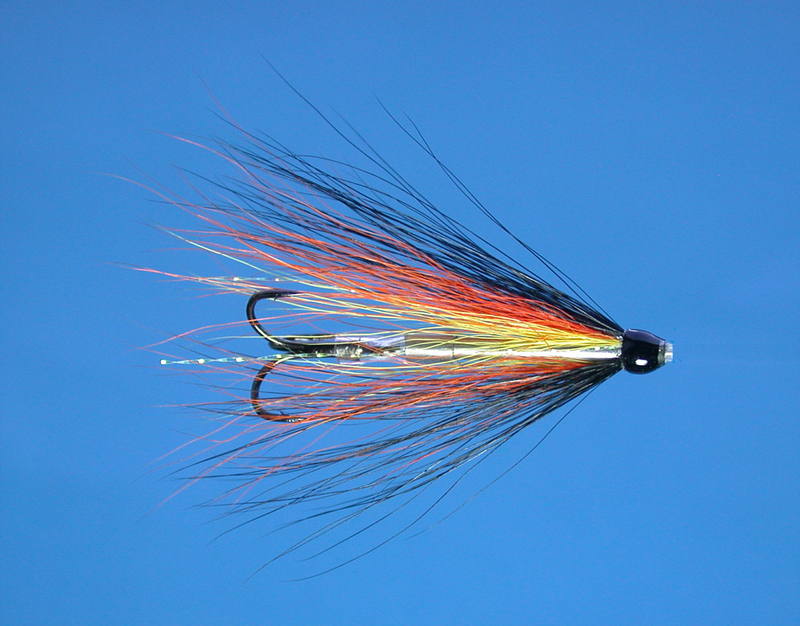 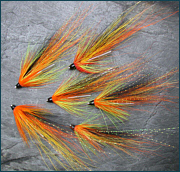 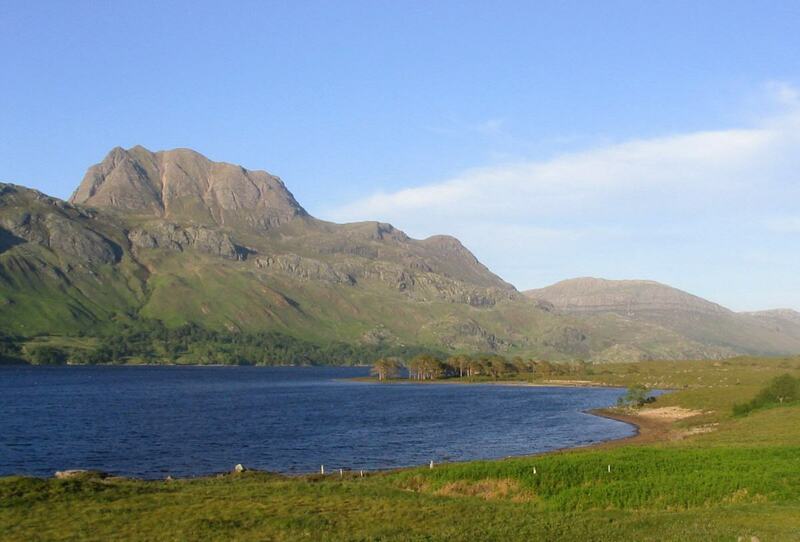 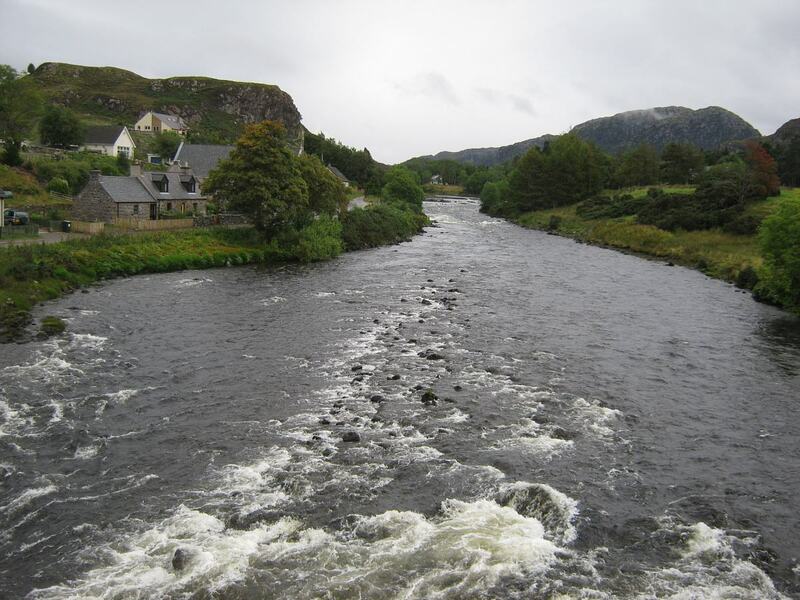 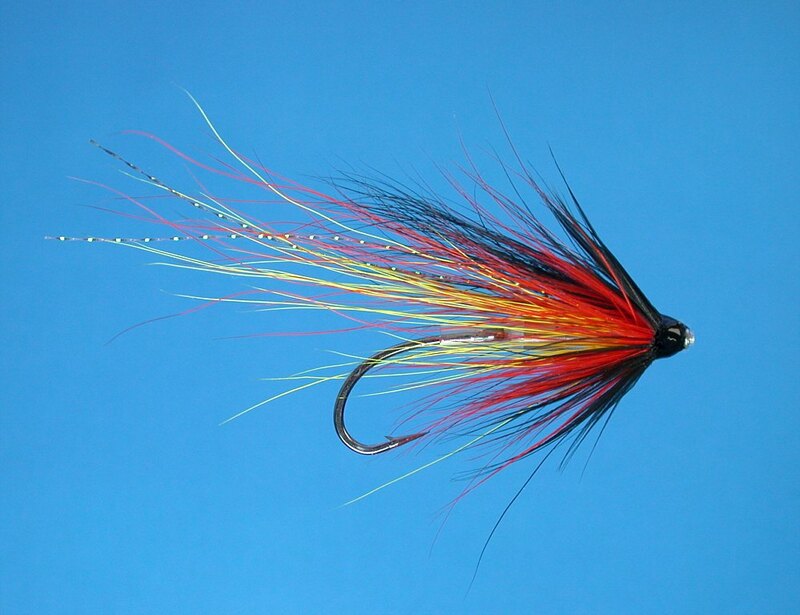 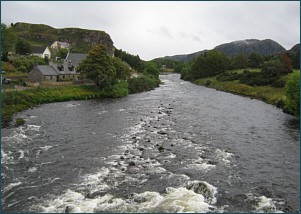 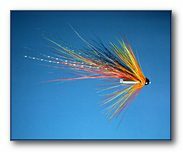 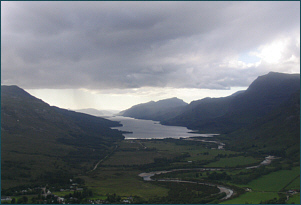 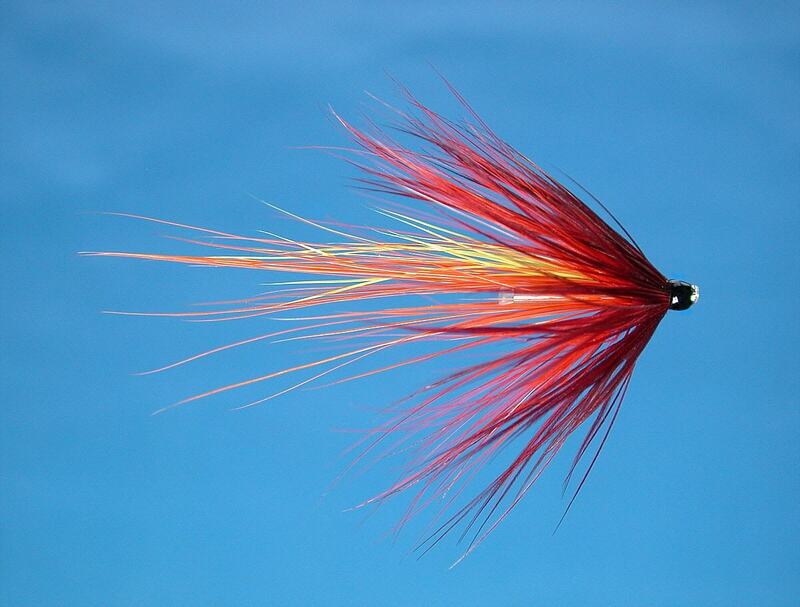 The River Ewe system, including Loch Maree from which the river flows on its short course to the sea, was, not so long ago, the jewel in the crown of Scottish Sea Trout fishing, renowned worldwide for the quality of the fishing, on both loch and river. Sadly, since the arrival of the salmon farms, sea trout catches have declined dramatically in the past twenty years and the jewel has lost much of its lustre. 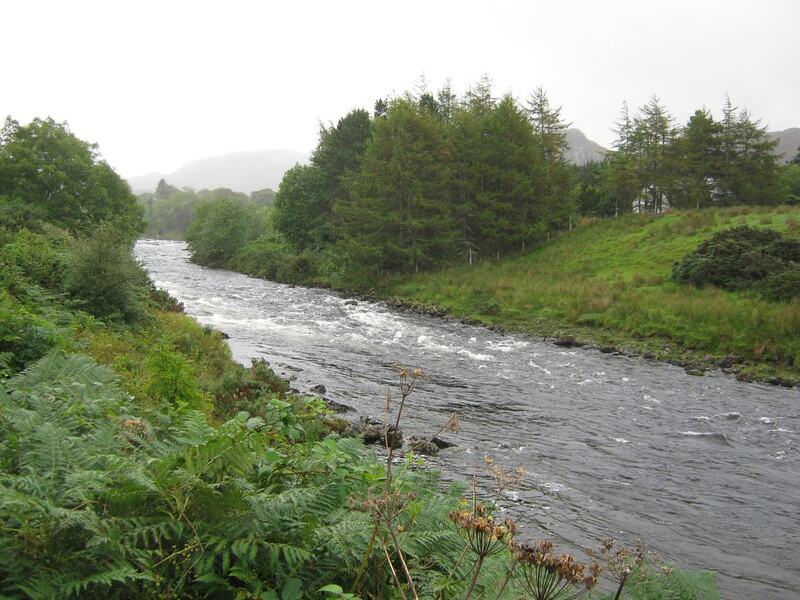 Over 100 salmon can be taken from the river, little over a mile long, in a season, with the best of the salmon fishing likely to be from June to September. 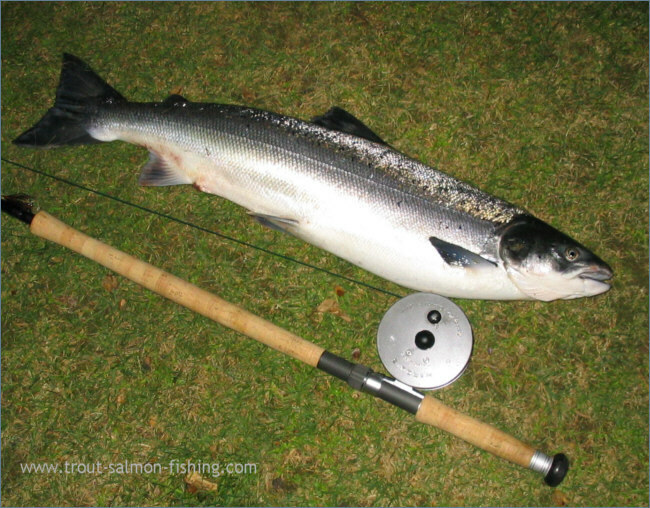 Sea trout are still taken but the catches, both in terms of numbers and size, are a mere fraction of those of twenty years ago. 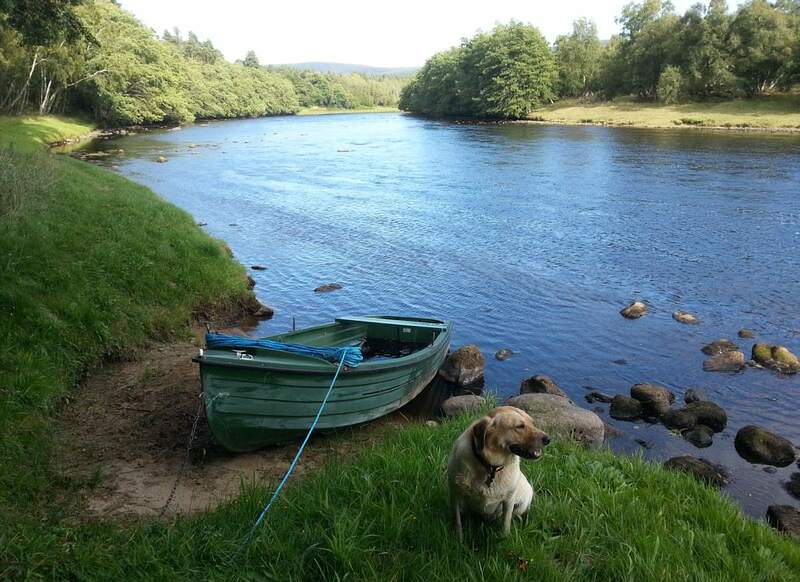 The salmon and sea trout fishing on the river Ewe is owned by Inveran Estate, and let, usually with accommodation, to weekly tenants throughout the season, with four rods fishing. 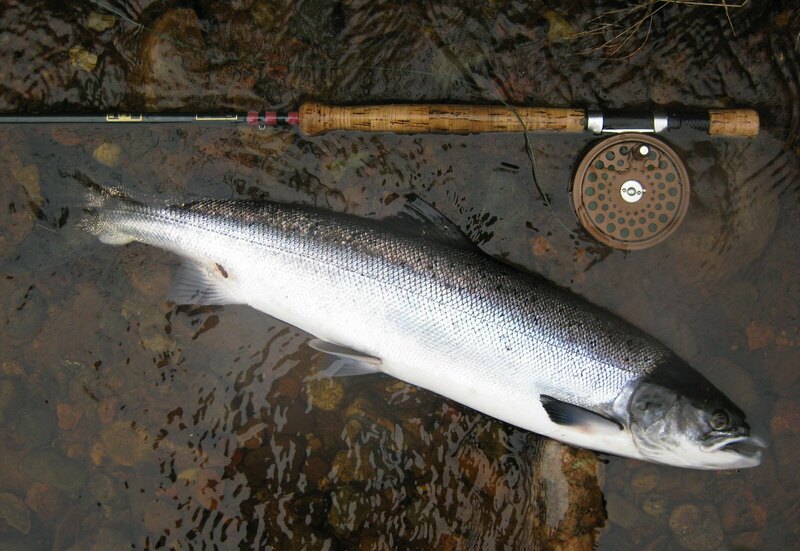 The best of the fishing, in July, is well booked in advance but occasional rods may be available at a cost of up to around Â£1000 per rod per week, depending on time of year. 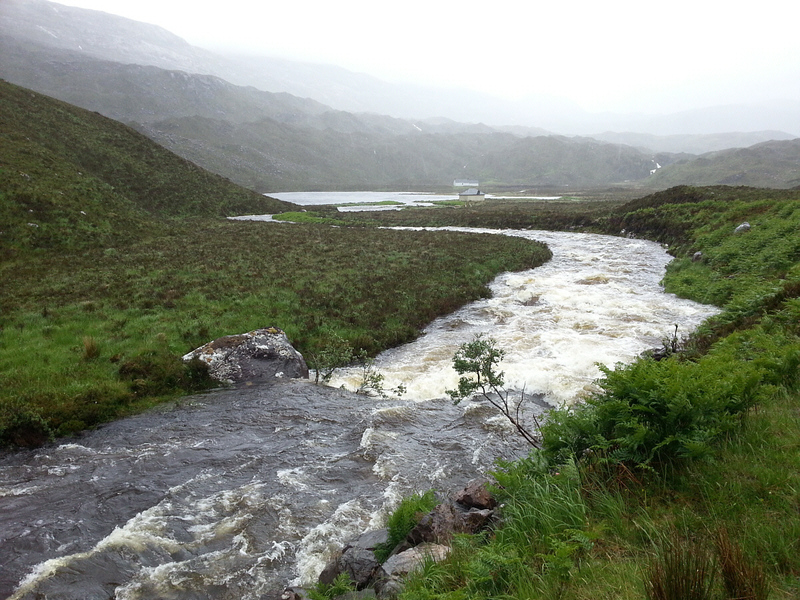 At one time this beautiful loch produced in the region of 2000 sea trout in a season, and also good catches of salmon. 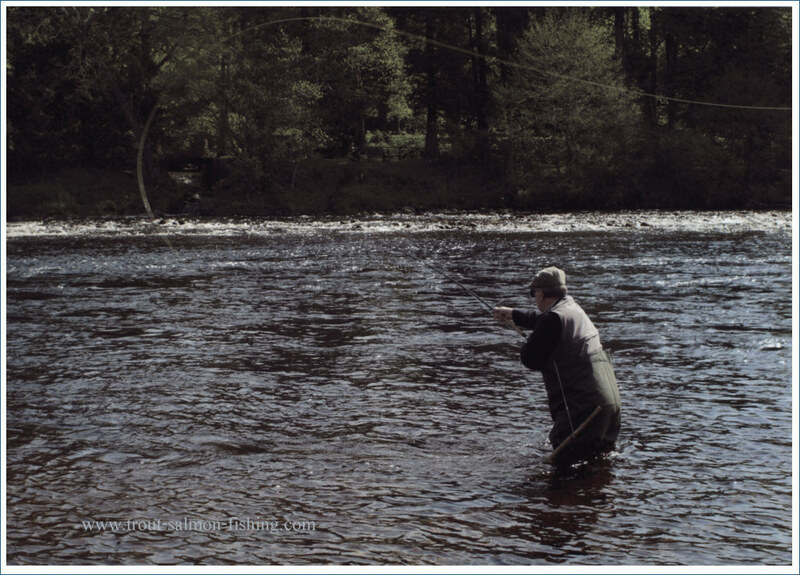 Sea trout anglers would come from all around the world to fish for the sporting sea trout during the short summer fishing season. 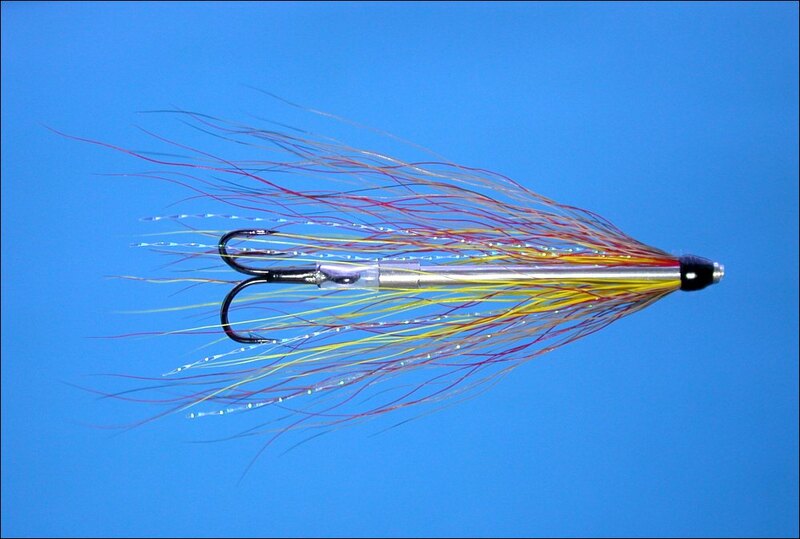 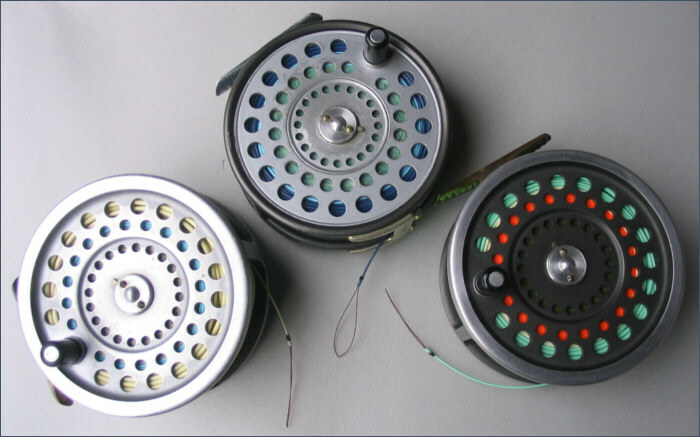 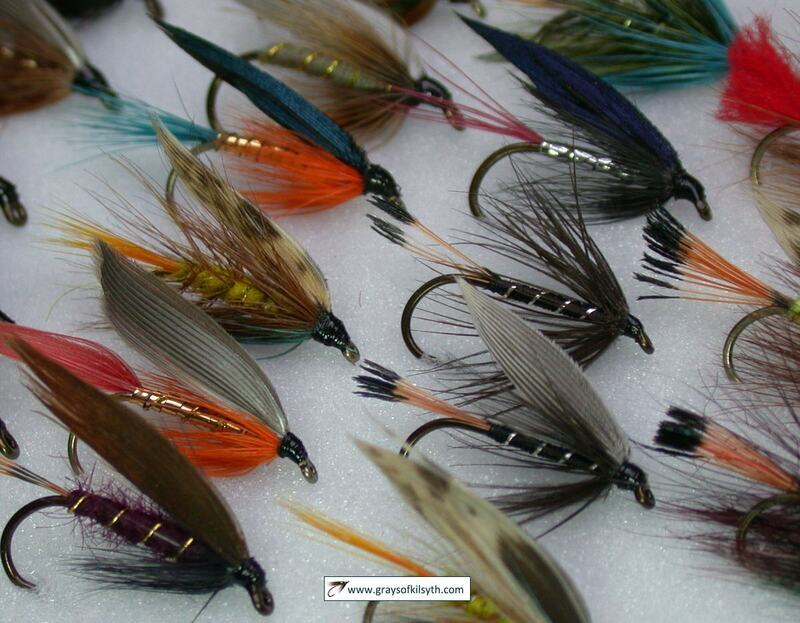 Sadly, catches have fallen, in recent years, to as low as fifty sea trout in a season. 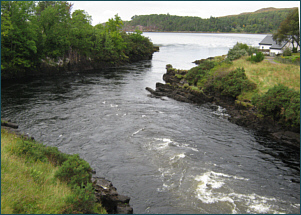 A recent report by Andrew F. Walker MSc PhD on the Collapse of Loch Maree Sea Trout stated, "Nevertheless, it can be concluded that the introduction of salmon farming in Loch Ewe close to the River Ewe estuary played a prominent part in the changes in sea trout stock dynamics in the River Ewe system, leading to the collapse of the angling fishery in Loch Maree." 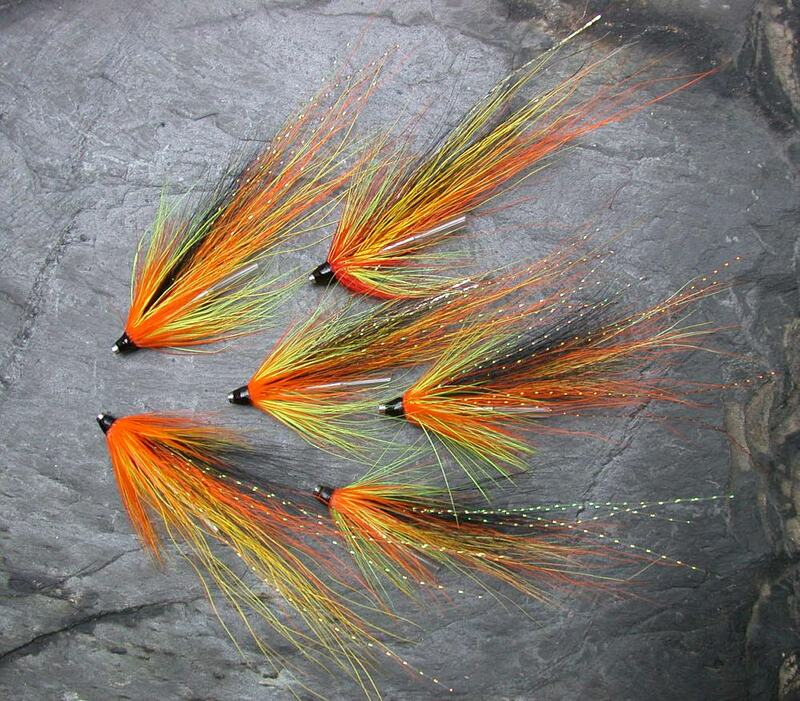 The salmon farmers in Loch Ewe continue to deny the widely held opinion, supported by mounting scientific evidence, that the sea lice emanating from their salmon cages are a major cause of the decline, and the Scottish Executive, incredibly, seems to agree with them. 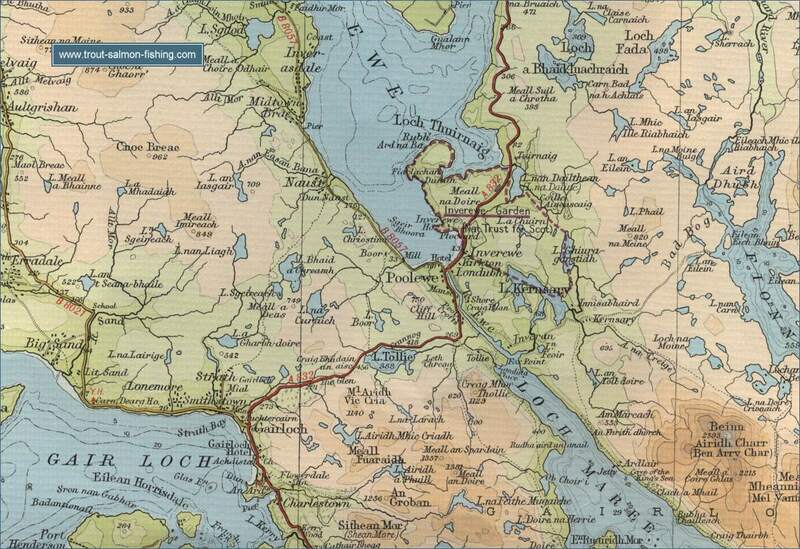 The sea trout fishing on the loch, once almost impossible to get, is now available to visiting anglers. 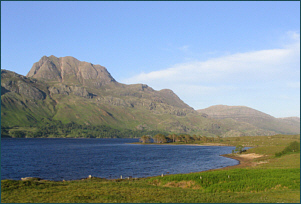 Enquiries should be directed to the Loch Maree Hotel, Loch Maree, Wester Ross. 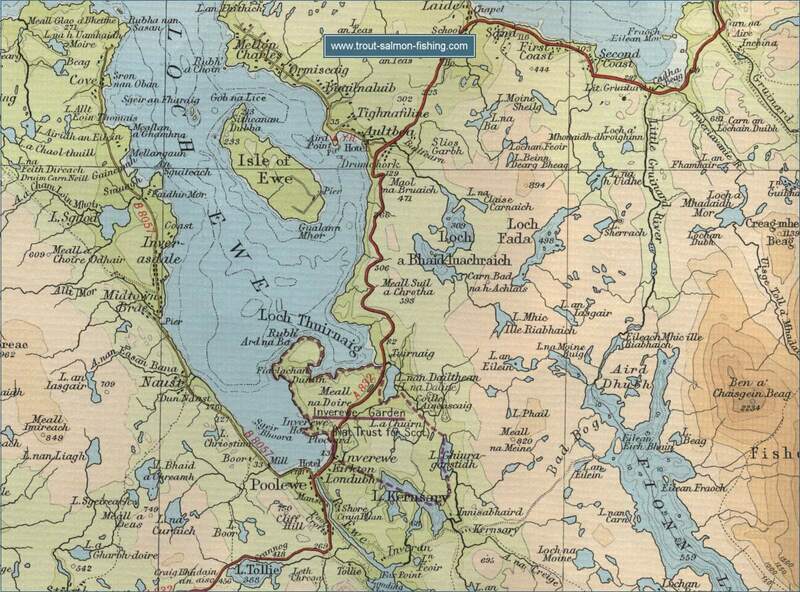 To view a larger scale map of a particular part of the River Ewe area click on a selected area of the map below.